How many WiFi devices do you own? I own three myself – my iPad, iPod, and Android smartphone – but only my smartphone is capable of reaching the Internet without a WiFi connection. If I didn’t own a wireless router or I was someplace that only offered a plug-in connection, I would be out of luck with these devices. That’s not the case with Virtual Router. Virtual Router essentially turns any Windows 7 (or Windows 2008 R2) computer into a WiFi hotspot using Windows 7’s Wireless Hosted Network (Virtual WiFi) technology. It’s really simple to set up and it works well, so if you’re looking for a way to create a secure wireless hotspot using your laptop, you’re in luck. Virtual Router is a free, open source software based router for PCs running Windows 7 or Windows Server 2008 R2. Using Virtual Router, you will be able to wirelessly share any Internet connection, whether it’s WiFi, LAN, cable modem, cellular, or even dial-up, with any WiFi-enabled device, like laptops, smartphones, netbooks, iPods, iPads, wireless printers, etc. These devices will connect to Virtual Router just like any other access point, and the connection will be secured using WPA2 encryption, which is considered the most secure type of wireless security. Virtual Router can be used anywhere. It’s completely free, has no ads, and it does not track your web traffic. As I just mentioned, the wireless network created or shared with the program uses WPA2 encryption, which cannot be turned off. This feature is actually built into Windows 7 and 2008 R2’s wireless hosted network API to ensure maximum security. As I mentioned earlier, Virtual Router “makes use of” Windows 7’s Wireless Hosted Network aka Virtual WiFi technology”. Okay, so what’s that? Since 2002, Microsoft has been looking for a way to virtualize the WiFi adapter, turning a single piece of hardware and radio into virtually unlimited adapters. Years later, all that research worked its way into Windows 7’s networking capabilities. In essence, Virtual WiFi works very similarly to how virtualization works for operating systems. There is a transparent sharing of limited hardware resources to many operating systems. Virtual WiFi, therefore, is a software layer that abstracts the wireless LAN card hardware into multiple virtual adapters. The result is an operating system that acts like you have multiple WLAN adapters working independently, even though you only have one. 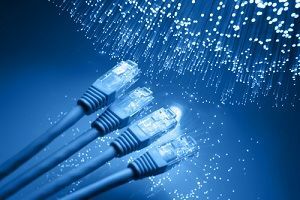 How Do I Use Virtual Router? Using the application is extremely simple. Just head over to Virtual Router’s homepage and click the Download button off to the right. Download, install, and run the application to start using it. 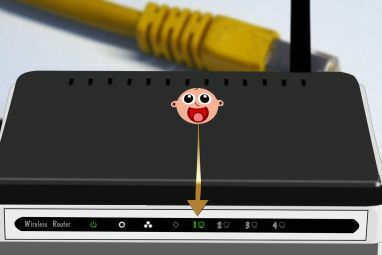 When you open Virtual Router up, you’ll see the first and only window you’ll need to start broadcasting a wireless signal. You can change the network’s SSID to whatever you’d like it to read when users locate the connection on their devices, and you can set the password to anything you like, as long as it’s at least 8 digits. Then all you have to do is select which connection you would like to share from the drop-down menu (Local Area Connection or Wireless Network Connection) and click the Start Virtual Router button to start your connection. Now you should be able to see your newly created connection on your WiFi devices. Just type in the password you set and you will officially be connected to the Internet. For such a simple program, Virtual Router really comes in handy at times. I was very impressed with how easy it was to use and how well it worked. What do you think of this application? Explore more about: Computer Networks, Internet Connection Sharing, Router, Wi-Fi, Wi-Fi Hotspot. Hello, the program works fine with Win7, I have used cmd scripts before using it, but I have a small issue. When I use the internet from the Wifi dongle, some programs on my phone won't work /they need to sync huge data/. i guess such programs see that there is a virtual router and thus no connection could be made. By Multiple adapters I assume more than one WIFI Connection that client devices can opt from.. Right? How can we turn a single RADIO into multiple adapters? Won't there be any sort of interference among the signals from different adapters? Or does this feature has any advanced settings where frequency range for each of the virtual adapter is selected(like its done in Physical Radios with more than one antenna)? Also, is the hardware(WIFI Radio) capable of supporting multiple adapters at a single time??? I mean there are some Antenna Limitations. y cant play youtube videos on my android phone while using internet of my PC with the help of virtual router manager? Just a wonderful little program !! This software is great! I used it with a wireless usb adapter (TP-Link TL-WN725N) to turn my Win7 PC wired-LAN internet connection into a wifi network. Successfully connected a windows phone8 device to the hotspot. Very simple to install and set-up, and I like the fact it displays a list of connected devices. Bye-bye hardware router. Does it works with Widows Xp ? there is more to it then these instructions and I am no dummy. I have windows 7 and the connection doesnt allow for my chrome book to access the connection. Are there more specific instructions that I could use to trouble shoot why? Late over here but thanks a million times. Getting of my router which is glued to a cheating network today and the guide here has got my devices still connected to my modem -sweet network- connection. omg thank you so much! i have been looking for something like this for a while and i love it! i have a broadband usb and i wanted to connect my ps3 to my laptop's internet, since a bridge wasnt working with an ethernet cable, i sorta just gave up. but then i came across this article and, well, thank you so much! Thanks, Faunce. Happy to help! I'm afraid Virtual Router is available for Windows 7 and Windows 2008 R2 only. Thanks for your help, Tina! Mike says: Virtual WiFi is different from Internet Connection Sharing for example you can use a single (physical) WiFi Adapter to do both connect to one network and share to or create another. But that CAN be done on a mac as well -- I can share wi-fi with wi-fi. Single adapter doing both things. 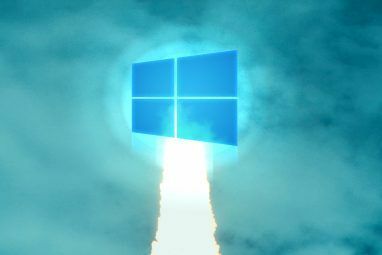 Interesting article, although having followed this ( http://www.blogsdna.com/5506/how-to-setup-virtual-wifi-in-windows-7-without-any-extra-software.htm ) I'm not sure what this software does that can't be done with a couple of fairly easy commands in Command Prompt though - and once this has been done, I think it has to be undone for this software to work properly. Anyway, I'm trying to use virtual wifi so my PC can act as a wireless VPN router between the Internet and my PS3. My plan is to run an SSL VPN using OpenVPN on my PC, connected to the internet using my main wifi adapter. My PC would then connect to my home network - namely my PS3 - via a wifi adapter. Trouble is, I can't even get internet connection sharing working without the VPN running, never mind with it running. Does anyone have any ideas? I'm running Windows 7 64-bit and an old ASUS P5DH motherboard with onboard Realtek RTL8187 wifi adapter. I did manage to get sharing working using a PPTP VPN, but it's too slow - and it was different as the item to be shared was the VPN itself, not the wireless network adapter. I wonder whether the system (or the aged wifi driver/hardware) doesn't like the same device basically being shared between itself? Interesting article, although having followed this ( http://www.blogsdna.com/5506/h... ) I'm not sure what this software does that can't be done with a couple of fairly easy commands in Command Prompt though - and once this has been done, I think it has to be undone for this software to work properly. MacOS X (and even system 9!) has that built in -- just share your internet connection however you wish in the Sharing preference panel. Nothing to download -- it just works out of the box. Simply sharing the connection [as in Mac OS X Sharing Preferences] from one adapter to another is possible at least since Windows XP. All you have to do is select both Adapters and create a Network Bridge. 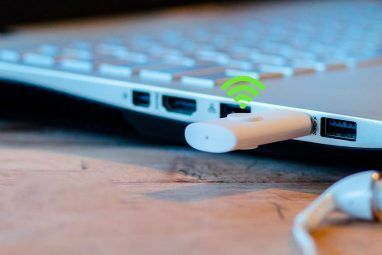 Virtual WiFi is different from Internet Connection Sharing for example you can use a single (physical) WiFi Adapter to do both connect to one network and share to or create another. Appreciate the clarification, Mike. Users should find this information helpful. Thanks! Just wanted to add that Windows 7 actually supports some Virtual WiFi types by default.